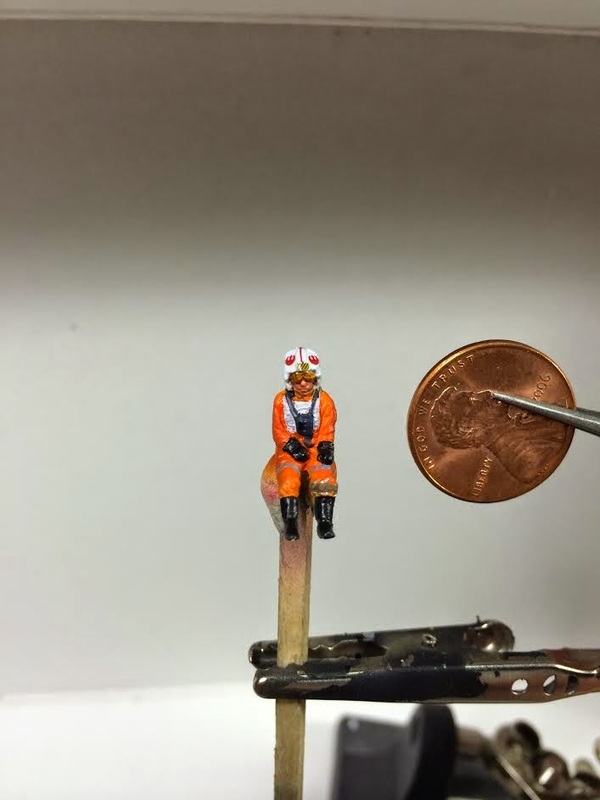 Continuing work on the 1/72 X-wing before my next round of commissions comes in the mail. 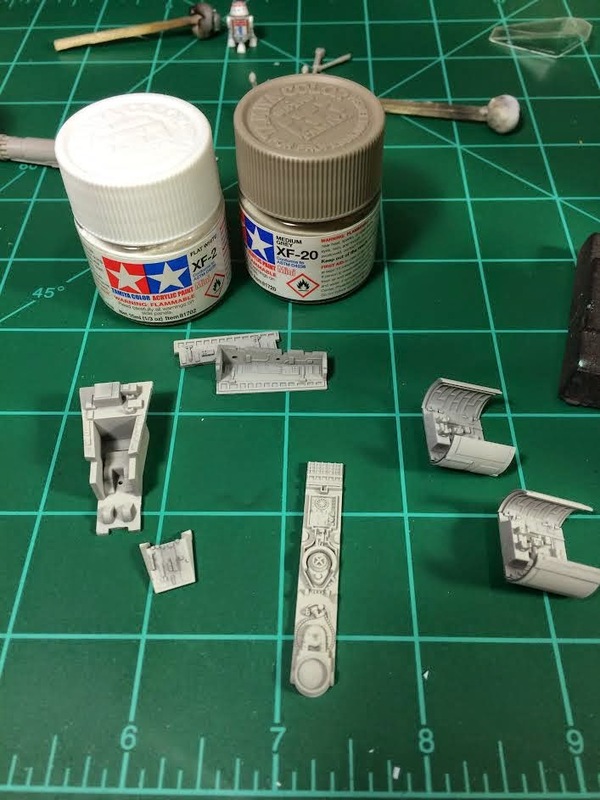 Today I managed to basecoat the droid strip, the cockpit tub, and the landing gear bays. I decided to go with the color the kit calls out, which is a mix of Tamiya Flat White (XF-2) and Medium Gray (XF-20). I was more or less pleased with the color as it is a slightly warm light grey that turned out quite nice over the black basecoat. I might play around with this color by adding a tiny amount of Tamiya Buff (XF-57) to mix to warm it even more. 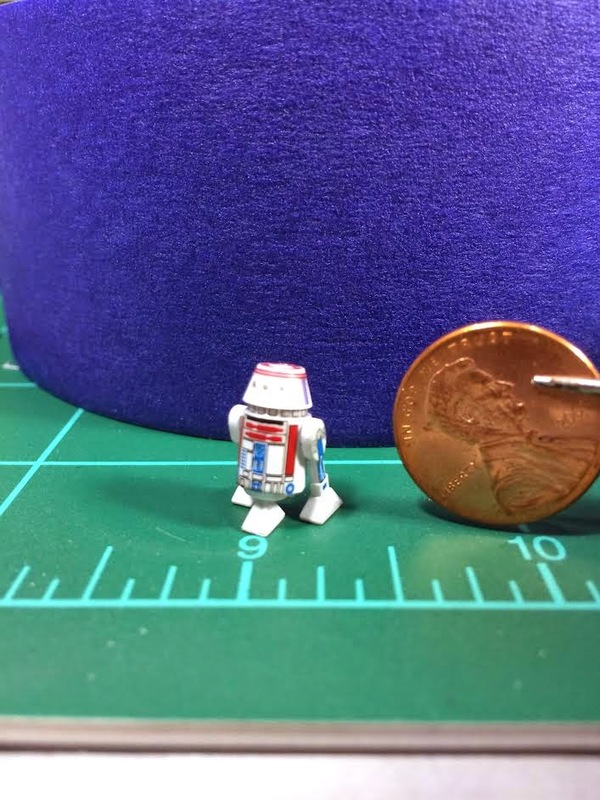 I also got some decals put on the tiny R5-D4 . This little fella has eight (!) separate decals on him and they went one okay except for the ring underneath his head. It took a lot of coaxing to get that decal in there all the way and I eventually gave up after I got it looking okay from the front. I need to seal the decals in with another coat of Future and I might give him a little bit of weathering (like everything else in the Star Wars Galaxy). You're supposed to be out plowing the fields! I also managed to get Luke painted up today as well. I preshaded the model with VMA Tank Brown before masking off the helmet and painting the flight suit with VMA Orange. The boots and gloves are VMA Black and the vest and helmet are VGC Ghost Grey with a VMC Grey wash. The chest device is VMA Intermediate Blue with a VMA Black square painted on it. The harness is GW Codex Grey while the leg strap is RMS Olive Drab with VMA Steel used to pick out the cylinders. His skin is GW Dwarf Flesh with a wash of GW Orygen Flesh. The visor is undercoated with VMA Steel and then painted with Tamiya Clear Orange (X-26). He has three decals on his helmet: two starbirds and the caution stripes/red stripe on the crest. 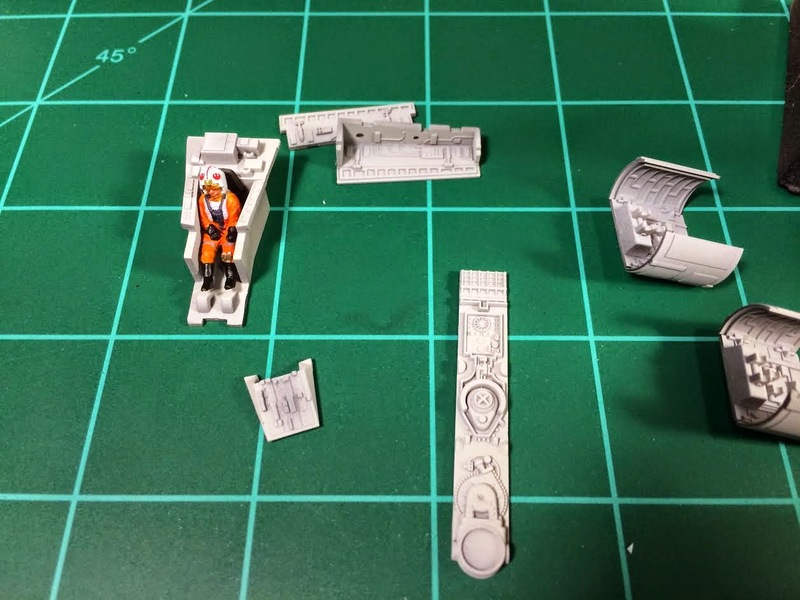 Of course, he will be buried in the cockpit with most of this not even visible, but I wouldn't be happy with myself unless he was fully painted. I considering adding some green stuff tubes from the rear bulkhead to behind to seat to make the entire cockpit assembly a little more screen accurate. I really want to get the cockpit buttoned up within the next day so I haven't made up my mind if I want to go through the trouble of that extra work.